Home » RDA Magazine » RDA Magazine is online! and re-use and to promote the acceleration of data driven innovation and discovery worldwide. The Research Data Alliance (RDA) builds the social and technical bridges that enable open sharing of data. The RDA vision is researchers and innovators openly sharing data across technologies, disciplines, and countries to address the grand challenges of society. The RDA Magazine is a publication edited twice a year providing insights on RDA main achievements in the period, namely RDA outputs and recommendations recently delivered, results of the activities of RDA Working and Interest Groups, special policy features and relevant news from the community, to be disseminated in Europe & at plenary meetings. 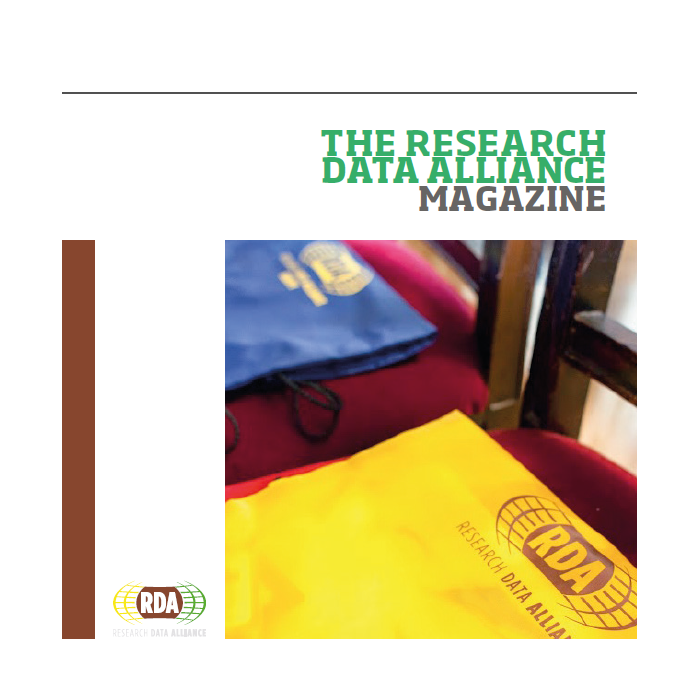 The March 2016 edition tells us about the Collaboration Projects which are testing RDA outputs; RDA recent Outcomes and a possible way for them to become technical specifications recognized at European level; RDA 2016 Training Programme; some stories from the RDA 6th Plenary Meeting (Paris, September 2015); and the new RDA Working and Interest Groups created so far.